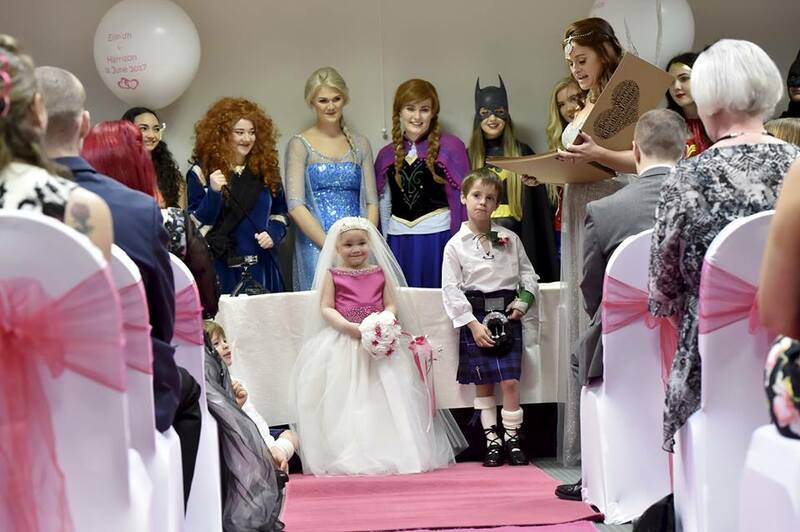 A terminally ill little girl who ‘married’ her best friend in a fairytale wedding last month has tragically died. Five-year-old Eileidh Paterson and Harrison Grier, six, were declared ‘best friends forever’ at a heartwarming ceremony a fortnight ago. Eileidh, who had been battling neuroblastoma most of her young life, made a bucket list after being told her cancer was terminal – with her marrying Harrison right at the very top. 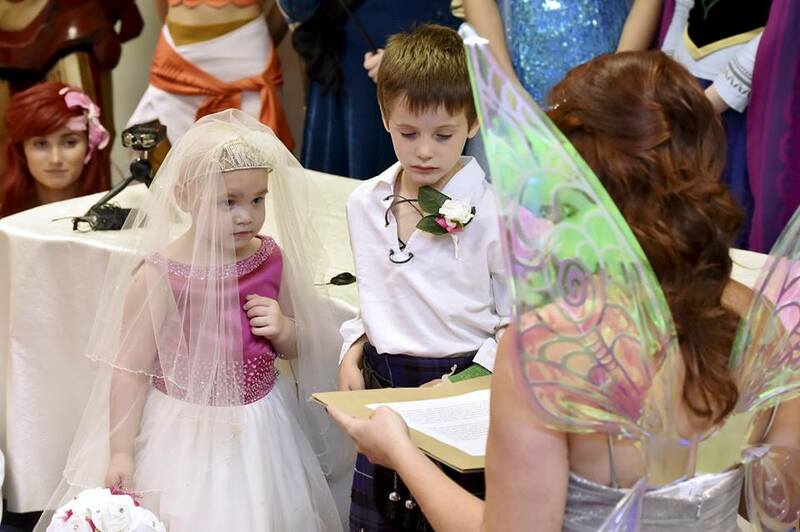 Hundreds of people attended their fairytale ‘wedding’ in Aberdeen and footage was shared worldwide. A fundraising page had been set up to complete several other things Eileidh put on her bucket list, including going to Disneyland and being a zookeeper for a day – recently hitting well above the £10,000 target. 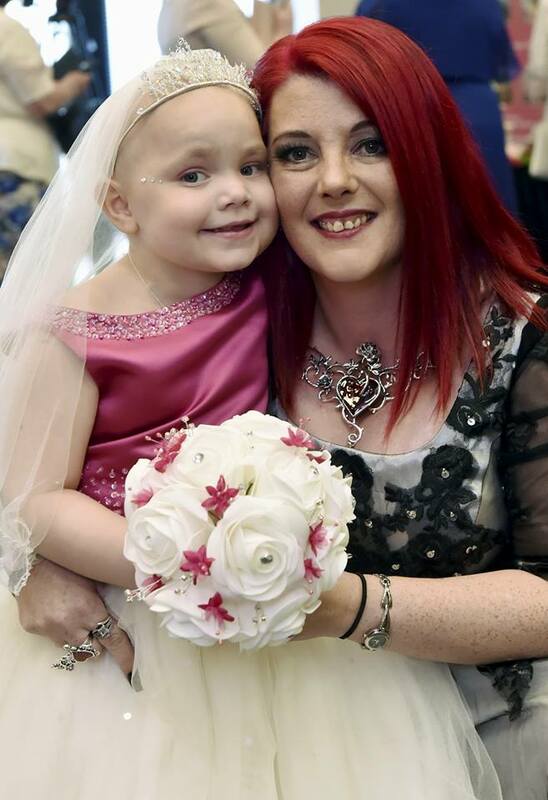 But sadly she wasn’t able to tick these off in time, as her mother Gail, 41, took to the Facebook page ‘Eileidh’s Journey‘ last night to reveal the devastating news that her daughter had lost her battle with cancer. With a very heavy heart, I’m heartbroken to tell you all that Eileidh gained her Angel wings at 11.45am on Saturday 1st July. Unfortunately it was discovered on Thursday, after an ultrasound scan, that Eileidhs liver was enlarged and full of neuroblastoma. This was the most aggressive she has ever had as it grew extremely rapidly. She took her last breath surrounded by her family & cuddled up with blankie. She won the hearts of everyone who met her and will be sorely missed. Our thoughts go out to Eileidh’s family during this very difficult time. With a very heavy heart, I'm heartbroken to tell you all that Eileidh gained her Angel wings at 11.45am on Saturday 1st July.